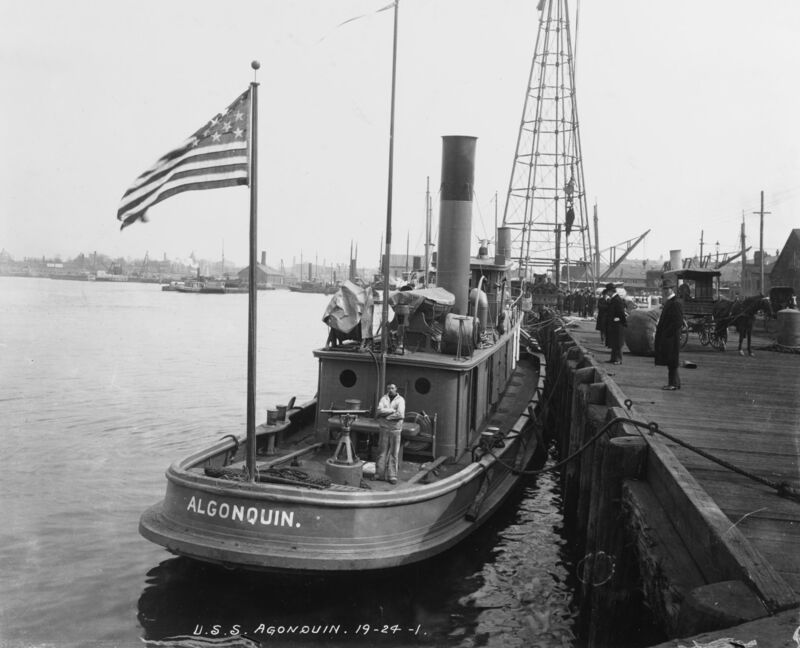 423k Algonquin at the New York Navy Yard, Brooklyn, New York, circa April 1898. Note 6mm Colt Machine Gun and 13-star boat flag aft, and horse cart on pier. 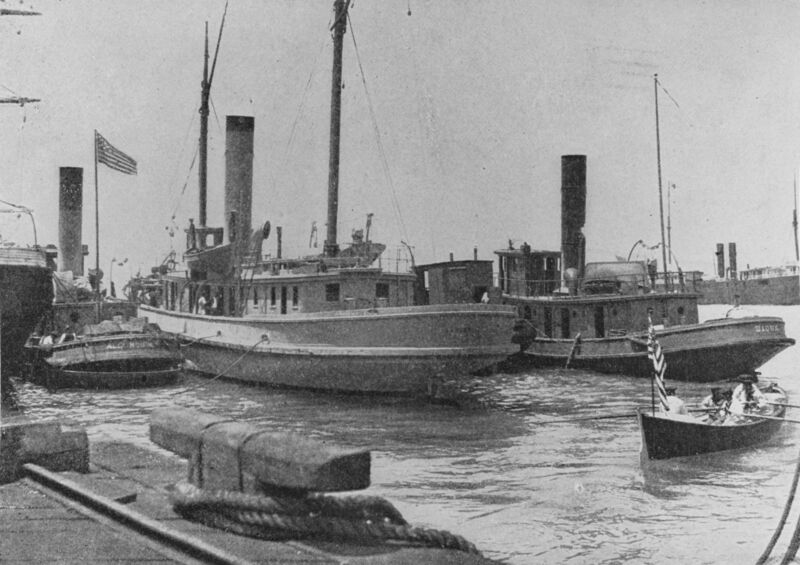 763k Algonquin, (renamed Accomac on 15 June 1898 and Nottoway in 1920); Leyden; and Sioux, (renamed Nyack in 1918), in port, circa April 1898. Halftone photo, published in War in Cuba, 1898. Note sailors rowing a small boat in right foreground. 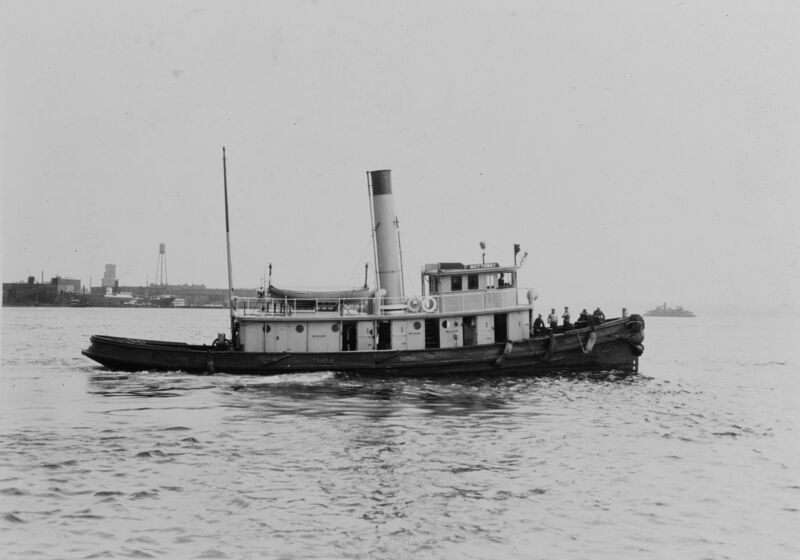 609k Nottoway underway, probably off Boston in the 1920s. 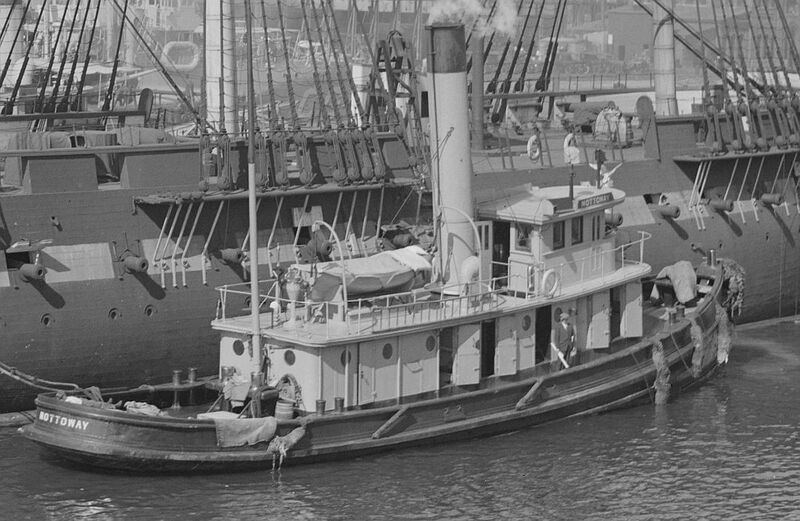 180k Nottoway (YT-18) moored at Boston, 05 May 1931. 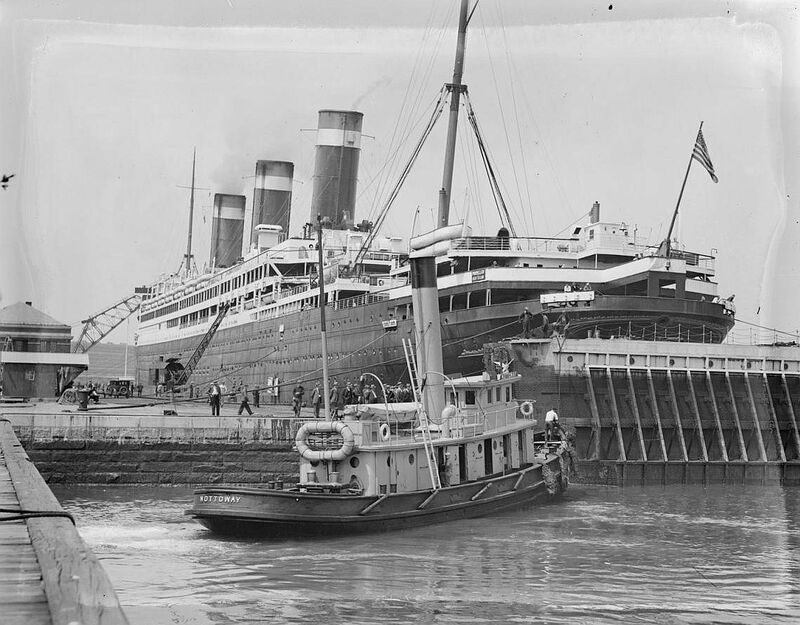 The liner Leviathan, formerly Navy transport ID-1326 in World War One, appropriately dominates the background. 150k Nottoway (YT-18) alongside USS Constitution at Boston Navy Yard, date unknown (but probably 1931). 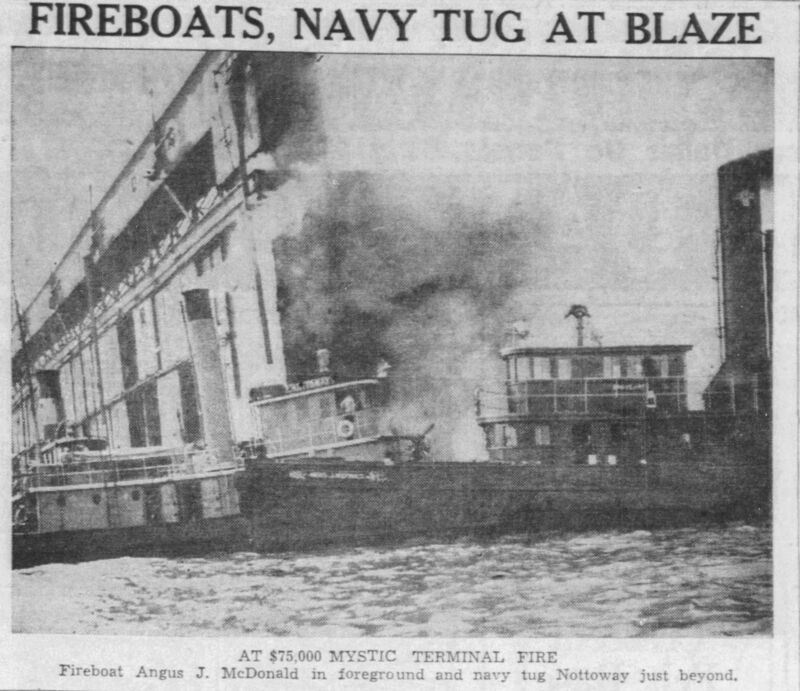 436k Nottoway and Boston FD fireboat Angus J. McDonald fight the Mystic Wharf fire at Pier 46, Charlestown, 07 June 1938.